These are my go-to body lotion and face cream for the moment. 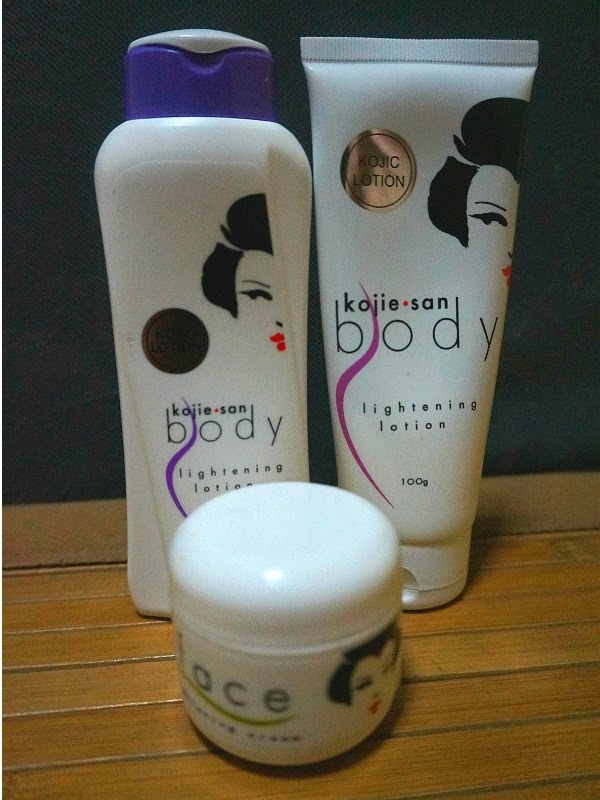 I got a couple of Kojie-San Body Lightening Lotion, one (right) has no SPF while the other has SPF 25. Another product is the Kojie-San Face Lightening Cream. Plus: All products are paraben-free. Non-sticky when applied and does not add to the greasiness of my already oily skin. Cons: Nothing major. Some people who might be looking for the quick lightening effect might be disappointed as I have noticed minimal skin lightening after weeks of application. Reviews of each coming soon. Stay tuned!